Guitar Hero 5 is the latest installment of their 300 game series (seems like it) and boasts having 85 songs from 83 different artists. Knowing I was such a huge fan of Rock Band and not so much a fan of the Guitar Hero series I was chosen to review this game. Despite all of my cynicism I was pleasantly surprised with the game. One of the biggest changes, which may either anger/annoy you or possibly even make you happy, even if it's just for a bit, is that all of the songs are available immediately to play (no unlocking songs in this game like previous iterations). You might think that this makes the career mode pointless, but there is still plenty of fun to be had. Having this "quickplay" mode is great for parties or for those who don't want to be forced to play the same Nirvana song 20 times before getting to the good stuff later in the game. 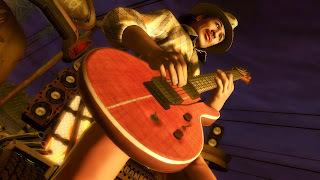 Also the career mode added instrument specific challenges that allow you to unlock new features, like outfits for your rockers. 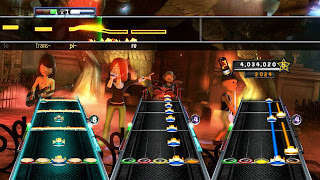 Another new addition to Guitar Hero is the ability to use your Xbox Live Avatar as your rocker. Though the proportions of your avatar compared to the rest of your band mates is a bit off (looks like a mascot playing with a bunch of anorexic rockers) it’s still pretty cool. 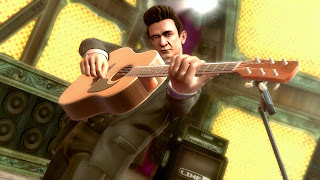 A few new party and multiplayer modes have been added that are new to the GH franchise. There's an all-new competitive RockFest Mode, with a selection of head-to-head gameplay types you can show off your skills against others with 4-play local and up to 8-player online battles. The "momentum" mode is really cool, as the songs notch up (or down) the degree of difficulty in real-time based on your performance. 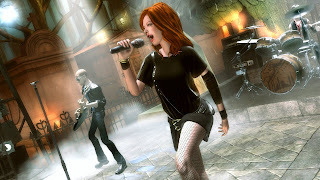 Guitar Hero 5 also adds a few new star-avatars (Kurt Cobain controversy be damned; Google it); including the likes of Shirley Manson (Garbage), Carlos Santana, Johnny Cash and more. Overall I give Guitar Hero 5 a 7 out of 10. 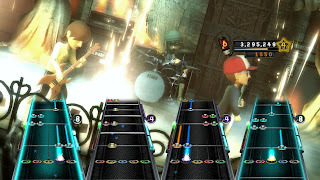 If you’ve played any of the Guitar Hero games before you aren’t going to see much that is new and exciting. But having all of the songs unlocked from the beginning is a huge plus and the set list is pretty good.